Vigilante, hanging pedal box, with cable, hydraulic clutch, clutch, custom made. 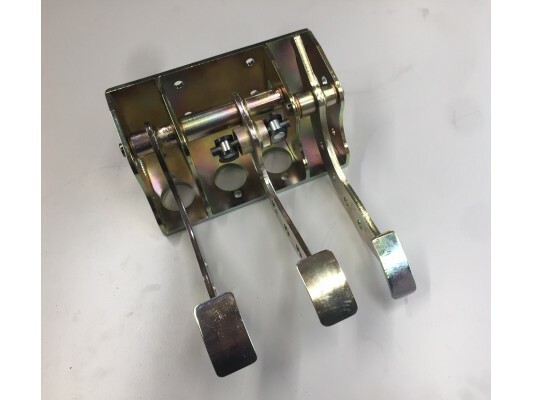 This is a USED off the shelf pedal box that takes the standard master cylinders. The pedal box includes the brake BIAS bar for the break cylinders. The pedal box is designed for a cable throttle. The Vigilante pedal box & pedals comes with the box and 3 pedals only. See options below fo..